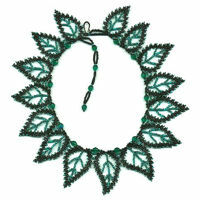 Beaded 15 Teal Leaf Russian Necklace Pattern and Kit! 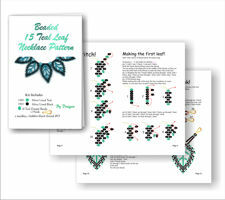 Make your own Beaded 15 Teal Leaf Russian! 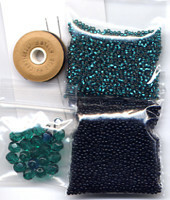 This necklace when completed is 19 inches long. You can easily change the length of this necklace by adding or subtracting leaves, or adding or subtracting from the extension. The largest leaf is 2 inches long and 1 and 1/2 inches wide. 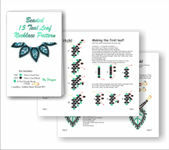 15 Teal Leaf Russian Necklace Download E-Pattern!